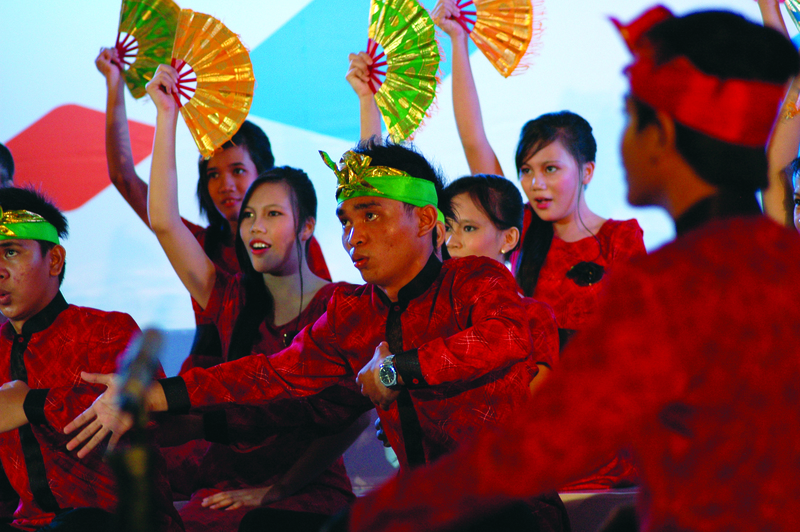 The third international choral singing competition known as the Asia Pacific Choir Games 2013 took place from October 8-18, 2013, in Manado, Indonesia. This event, organized by the Interkultur international choral music organization, was structured around three competitions: a Local Competition (Oct. 8-10) for groups from the Manado region and, beginning Oct. 12, two others – the Open Competition and the Champion Competition – for choirs hailing from elsewhere in Indonesia and from other Asian-Pacific countries. Once more, a great spirit of enthusiasm, exchange and friendship, as well as of competitiveness, prevailed. The high level of performances attests to the growing appeal of this discipline and the high quality group-work achieved in the region. The host country, Indonesia, distinguished itself right away by its strong presence at all three levels of competition. More than one hundred Indonesian choirs participated in the different selections and carried off a large number of prizes — the Manado Poltekkes Choir, the Jorih Jerah Choir, the Getsemani Sakobar Choir, the El-Manibang Youth Choir, the Maansinam Choir, the Maluku Choir and the Iyakoko Patea Choir, to name but a few. The village of Manado and the northern region of Sulawesi were not chosen at random by the Interkultur organizers. Indeed, choral activity is very strongly anchored in its musical tradition. Singing holds an important place in the daily life of the inhabitants of the region, with choirs quite numerous in urban centers. This strong passion for the polyphonic art probably arises from the intense religious practices of its numerous Christian communities. Not a single church, not a single temple, is without a vocal group or choir likely to participate in these musical jousts. Although the programs presented at times exceeded certain choirs’ vocal abilities, they could never be faulted for lack of serious preparation. In that respect, Indonesia matches the Philippines in its ambition to be a “major” country for choral singing in the region. The singers’ determination and their directors’ professionalism will assure this country’s place in major international competitions in the years to come. The second lesson learned during these days of competition concerns the improvement in the general quality of choral performance of many Asian countries: certain countries like China and South Korea reaffirmed their mastery of choral music, while others, notably those of southeast Asia, showed qualitative improvement in their practices. Each country enriched multiple forms of choral music through the contributions of its own culture. Let us cite Thailand, which for many years has been pursuing a broad research effort to improve vocal techniques and introduce its musical traditions into group singing. Malaysia also displayed its abilities by diversifying its repertoire and choral practices. The Phillipines, for its part, still offers very high quality vocal ensembles (let us cite as an example the SLU Glee Club). Equally interesting is the emergence of some countries previously absent from these competitions: India and Sri Lanka distinguished themselves in the “folklore” category by original musical programs consisting of vocal pieces accompanied by dance. This, in fact, is the very essence of international competitions. Above all, they must facilitate enriching cultural and choral music encounters. Each choir selects in advance several pieces,to present in one of twenty competition categories, designed to display its intrinsic qualities (color, balance, personality, power, dynamics and nuance). 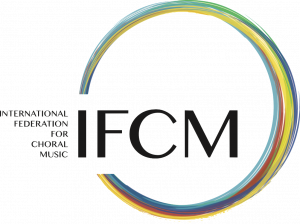 Indeed, choral music is being disseminated via each country’s own channels, in a multiplicity of languages, using local vocal techniques and cultural adaptations as needed for different categories within the polyphonic repertoire (classical, jazz, folkore). Each of the competition categories thus allows for a true encounter of diverse musical experiences. Choral singing, expressed as a truly universal language, thus leads each group to expand its listening horizons and to take a greater interest in other choral practices presented within the different competitions. Choral language possesses a rich vocabulary that is assessed by considering the number, color and intensity of the vocal parts. Each director must therefore define a dynamic balance and intensity tailored to the pieces selected and to the interpretative choices made. The challenge for numerous groups is to find a repertoire suitable for their specific abilities. Overly difficult or incompatible pieces are often chosen. Moreover, the texts and music of certain pieces do not seem to be a good fit. Choral competitions cannot be reduced to mere technical battles: rather, they should always give well-thought-out consideration to esthetic contributions. Also, scores that exceed the performers’ technical skills are not always the most appealing. It is thus preferable for the choir director to choose unpretentious music that has a chance of being performed well and winning favor with all jury members. The level of difficulty must always be adjusted to the choir’s experience and capabilities. One can choose from among a multitude of choral pieces, representing diverse styles, colors, and languages, able to highlight the artistic gifts of each choir, no matter what its origin or degree of experience. Jury members thus had high regard for groups that judiciously constructed their program in recognition of their technical skills and expressive abilities. Vocal homogeneity, vocal caliber, and balance between sections were always rewarded. In future competitions, choir directors must pay attention to accuracy, because vocal intonation and color are essential elements in judging the quality of a choir. They must be equally attentive to real balance between the voices within the group and the judicious use of soloists. Finally, they must wisely choose the tempos and the dynamic contrasts (notably by bringing out the piano and pianissimo indicators), and be precise in their conducting gestures. Most of the winning choirs, including those in the final competition of champions, met the challenge of delivering a balanced program, made interesting by varied levels of difficulty and convincingly interpreted. This was notably the case with the two Grand Prize master champions, the SLU Glee Club from the Phillipines and the Iyakoko Patea Choir from Indonesia; both deserve to be congratulated here. Overall, this third Asian-Pacific competition contributed to the progress of choral singing at the international level. In particular, it showed the quite wide diversity of vocal practices within the countries of Asia and the Pacific. It allowed participants to experience and understand different cultures more fully. Choral music conveys the cultural characteristics of each country and translates, by a specific acoustic reality, the ties of the individual to society and to the social groups to which he or she belongs. It thus fosters a necessary respect for cultural differences. The next competitions, specificallly the 8th World Choir Games being held in Riga, Latvia in July 2014 (www.interkultur.com) should prove the culmination of all these efforts in the realm of choral singing. Without doubt, the Asian-Pacific countries will distinguish themselves and obtain excellent results in those major competitions.